Kwara central group announces plan to recall Saraki – Royal Times of Nigeria. Some constituents of Kwara Central Senatorial District, under the umbrella of “Kwara Must Change” have announced plans to recall Senate President, Bukola Saraki. 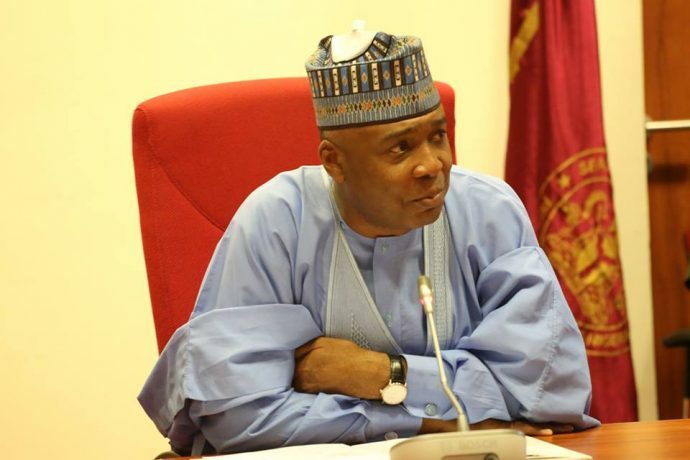 In a statement on Tuesday quoted by SaharaReporters, the group said it regrets voting Saraki into the senate after realizing the extent of damage done by him. The group said Saraki had neglected his duty of representing them and was now pushing a personal agenda. It said: “Realizing the extent of damages done by the man we supplied to Nigeria as our contribution, we take full responsibility for his stay in the Senate while representing us, though we regret his actions,”. “He has abandoned his primary responsibility of representing us in Kwara Central. He is more concerned in pursing personal interest, which adds no value to our well being as a people. His over ambition and quest for personal enrichment is driving him nut, leading to several questionable actions and unnecessary confrontation with the executive arm of government. “Mobilisation for the recall will be completed in the next two weeks, and by August 1st 2017, we shall begin the recall process properly by presenting the recall register to the public for collection of signatures at the various polling units”. The group asked their coordinators in the 52 wards of Kwara Central to immediately commence the process of recalling Senator Saraki by assigning representatives to all polling units within their wards in the 4 Local Governments Areas of Kwara Central, namely Ilorin West, Ilorin East, Ilorin South and Asa.